M'sians Used To Cry Over CNY Commercials. Why Did We Stop? Between the shifting public interest and the dying television advertisements, festive advertisements aren’t getting as much traction this year. Besides developing jadedness towards tear-jerking ads, the younger generation aren’t as exposed to those ads, particularly since they consume less material on traditional mediums (i.e. television). Can you even name any Chinese New Year commercials this year? I know the first 5 seconds of some of them since they appear before I can watch my YouTube video, but other than that I realised that this year’s conversations lack that quintessential heartwarming ad that was made popular by Yasmin Ahmad in the Petronas Advertisement era. It’s not like companies have stopped producing Chinese New Year ads. It’s just that they aren’t capturing public attention quite the same way that the ads in our childhoods used to. And I don’t even think that this is an exclusively Chinese New Year problem. 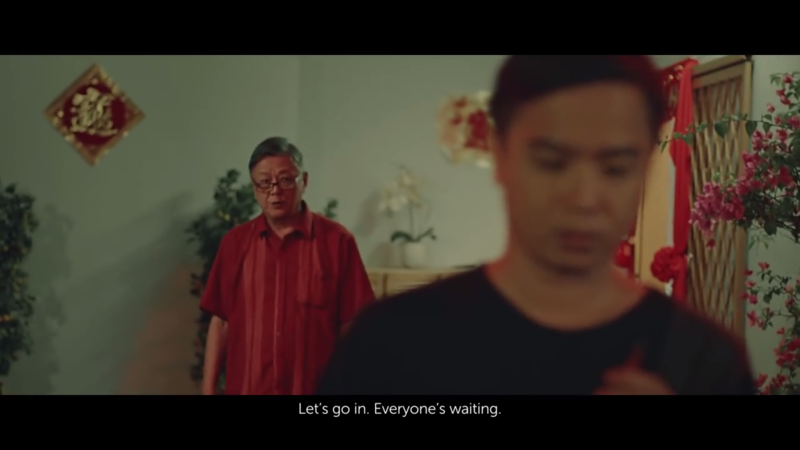 Are Malaysians getting jaded to the tearjerking ads? Screenshot from Petronas’ CNY 2018 advertisement. It’s no coincidence that the more popular types of Chinese New Year ads of recent years include that earworm Watsons #HappyBeautifulYear song—an advertising success in its own right—but hardly the thought-provoking or tear-jerking advertisement Petronas made popular once upon a time. The funny and “extra” ads are just more accessible, more relevant to the current climate of internet users that appreciate memes and exaggerated humour. Maybe this is all just part of the life cycle of an entertainment media. Our movie tastes have clearly evolved over the years, and maybe successful types of advertisements have a similar life cycle too. Maybe this means that the era of beloved Yasmin Ahmad ads is coming to an end. When Petronas-style ads started becoming popular, it’s because they were fresh and unexpected. At the time, it was rare for an advertisement to be as long as these ads were, and more focused on just telling a short yet compelling story rather than selling anything directly. They usually contained humour, a surprise twist, and of course, the feels. It was revolutionary. Over time, Malaysians began looking forward to them every holiday. No festive season was complete without a heartwarming advertisement taking up our screens, and rewatching them today evokes a strong sense of nostalgia. But then, ever so slowly, the typical tactics these advertisements do to arouse those tears became less effective. The swelling violins, the slow-motion pans on crying faces—when you knew that these elements were included to warm your heart, they lost their magic. Nowadays, all I need to figure out what the festive commercial is trying to convey to me is to watch that first 5 seconds before YouTube allows me to skip it. This is to say nothing about the talented filmmakers pouring their efforts into these advertisements. As I said, they’re more of short films than they are just advertisements, and perhaps I would have appreciated them more in a different context. The real problem is more that these short films are handicapped before they can ever fly. Taken from Lazada’s 2018 CNY advertisement. You grandparents might be able to recall this year’s Chinese New Year ads better than you can, and this is because they’re statistically more likely to even be exposed to advertisements in the first place. Since the rise of popularity of sites like Netflix, iflix, Tonton and their ilk, we’ve been able to skip seeing ads on traditional television, and instead watch our advertisement-free content on other platforms. Even traditionally television-focused companies like Media Prima and Astro have refocused their attention and efforts to their digital side. Just check out the difference between Media Prima’s annual reports between 2009 to 2016. What used to focus on the number of viewers on their channels and content now spends way more pages on their digital arm Tonton. And this is all par for the course, because Media Prima’s television segment posted a loss of RM20.7 million in the first 6 months of 2017. Meanwhile Astro’s average revenue per user has plateaued over the years. Not to mention, Malaysians spend 80 minutes per session on YouTube, which is double the global average of 40 minutes. Meanwhile, 55% of Malaysians between 16-year-olds to 65-year-olds surveyed preferred YouTube over TV. We spend more time on our phones compared to the global average in 2016, and television as suffered for it. It’s probably not a coincidence that as TV watching dropped, the popularity of long-form ads did too. The circumstances that helped these festive ads flourish once upon a time just aren’t around anymore. Viewers no longer need that breath of fresh air that was the festive advertisement during a show’s commercial break—ads are at most 15 seconds, if even that, on streaming sites. If we wanted to watch a creative short story that touches our hearts, we no longer have to rely on festive-season advertisements anymore, because many talented local film and video producers are uploading their short stories on Facebook and YouTube—TheMingThing and JinnyboyTV are just a couple of popular examples. It’s not that the ads aren’t watched at all. Quite a few released in 2018 have hit over a million views on YouTube, but they’re not reaching our conversations, or our hearts. Does this mean that companies should stop producing heartwarming short films for the festive season? Not necessarily, in my opinion. The exercise of strengthening a brand’s reputation in the eyes of the consumer is still very important, and other than doing CSR, creating a video that resonates with the public is great way to do that. And with the right approach, brands can still create that right video that might just capture the fickle public’s attention. Brands that want people to watch their advertisements on YouTube would do well to create their hook before those important first 5 seconds. Or, they could create the kind of video that resonates so well with Malaysians that word of mouth actually propels viewers to seek out your advertisements on the internet by themselves. Attempting to achieve virality did pretty well for a couple of brands in 2017. As an advertisement-repulsed millennial, I still appreciated Maxis’ Mother’s Day advertisement last year that took a really creative, futuristic approach to the typical Mother’s Day message. And again, Watsons still managed to get attention last year for their ad. 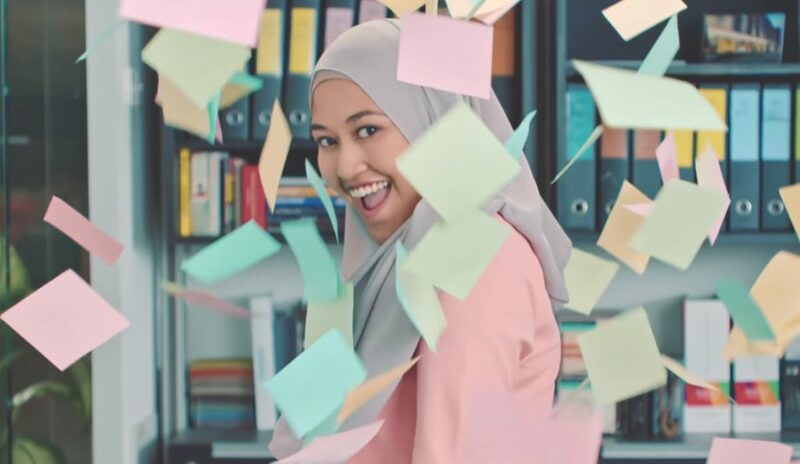 TNB’s Dugaan Raya Aida ad managed to strike a chord with many Malaysians last year, and its Facebook video got 13,138,931 views at the time of writing while still juggling a more heartwarming ending to a very comedic runthrough. And Celcom has been pushing an ongoing 5 Sekawan storyline that started with a Raya advertisement until, most recently, this Chinese New Year advertisement. Of course, it is important to remember that even the original Yasmin Ahmad advertisements only worked so well because of the smart scripts and how they evoked multiple emotions in creative ways. Who knows? We might just see a festive advertisement renaissance soon. The internet is known to be fickle. Feature Image Credit: Petronas advertisements “My Son” from 2006, and “Nobody’s Child” from 2008.